Taking the dish, St John went into the stable and prayed that God would send it to his master. He had no doubt that God would send the pilaf to his master in a supernatural manner. The plate disappeared before his eyes, and he went into the house to tell his mistress that he had sent the pilaf to his master. When the officer's family heard this story, they marveled. His wife told him of how John had asked for a plate of pilaf to send to his master in Mecca, and how they all laughed when John came back and said that it had been sent. Now they saw that what the saint had said was true (Compare the story of Habakkuk, who miraculously brought a dish of pottage to Daniel in the lions' den [Dan. 14:33-39] in the Septuagint). In 1924, an exchange of the populations of Greece and Turkey took place. Many Moslems moved out of Greece, and many Christians moved out of Turkey. 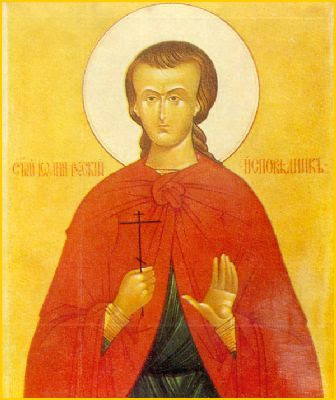 The inhabitants of Prokopion, when they moved to the island of Evvia, took with them part of the relics of St John the Russian. 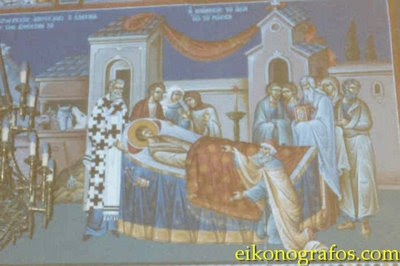 For several decades the relics were in the church of Sts Constantine and Helen at New Prokopion on Evvia, and in 1951 they were transferred into a new church dedicated to St John the Russian. Thousands of pilgrims flocked here from all the corners of Greece, particularly on his Feast, May 27. 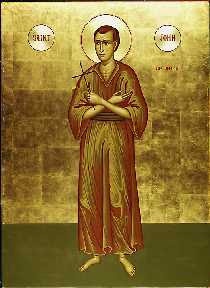 St John the Russian is widely venerated on Mount Athos, particularly in the Russian monastery of St Panteleimon. St John's help is sought by travelers, and by those transporting things. 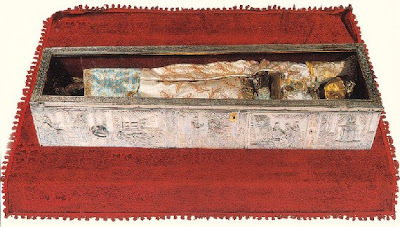 Today a part of the right hand of St. John is enshrined in a special silver reliquary in the Holy Transfiguration Monastery, Boston, where many people come to venerate it and to ask the prayers of this simple Confessor of the Christian faith, knowing that the Lord – Who resisteth the proud – hears speedily the prayers of the meek. Based on a Life by Photios Kontoglou. The Orthodox Word, June-July, 1967. He that hath called thee from earth unto the heavenly abodes doth even after thy death keep thy body unharmed, O righteous one; for thou wast carried off as a prisoner into Asia wherein also, O John, thou didst win Christ as thy friend. Wherefore do thou beseech him that our souls be saved. 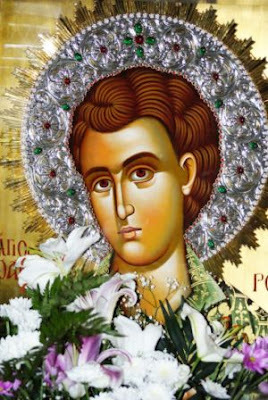 The holy memory, O venerable father, of thine illustrious contests hath come today gladdening the souls of those who venerate thee with reverence and faith, O John.